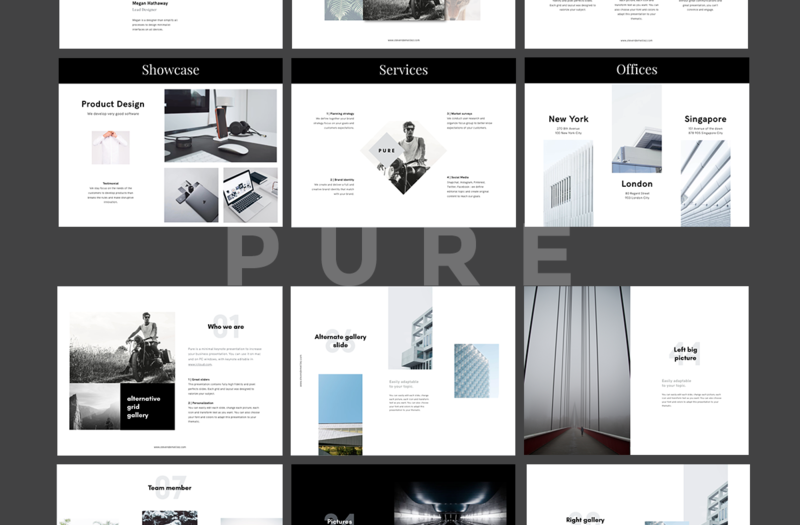 P U R E is a minimalist keynote presentation. PC (Windows) users can join Keynote, too! P U R E is perfect for your agency, branding and professionals presentations. 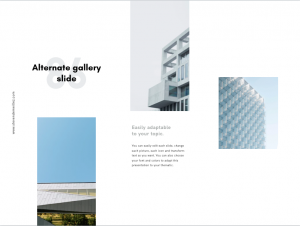 Each slide was design with a minimalist design process to bring out the best of your ideas and to convince your audience. 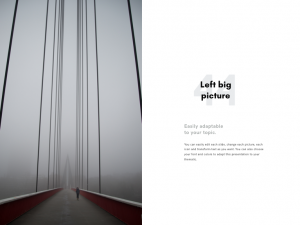 Don’t waste time to create your own presentation, focus on what matter : your idea ! 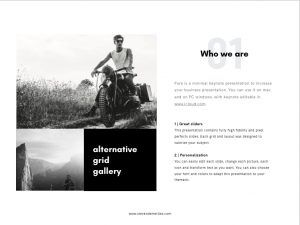 Each slide is fully editable and you just need to replace image by your own (layout are defined).